Do you need some positivity in your day? Then we are going to help you find some! Presenting Pokemon Positivity Tag by Lumiose Trainer Zac and Resort Originals! These two Pokemon Content Creators have gotten together to help spread some good vibes in the Pokemon YouTube world. Things have not been great but that doesn’t mean we should focus on that. After all, there are plenty of great Pokemon YouTubers who are doing great things! Lumiose Trainer Zac talks about what made him want to join the Pokemon community, some of his favorite videos and what he loves about other creators. You are going to learn a lot about what makes Zac the trainer that he is today. And hear plenty of good stuff! Personally, I love looking at some of the footage of Zac’s older stuff. There is some charm behind some of those videos and you can tell. Watch the video below to hear some positive vibes. 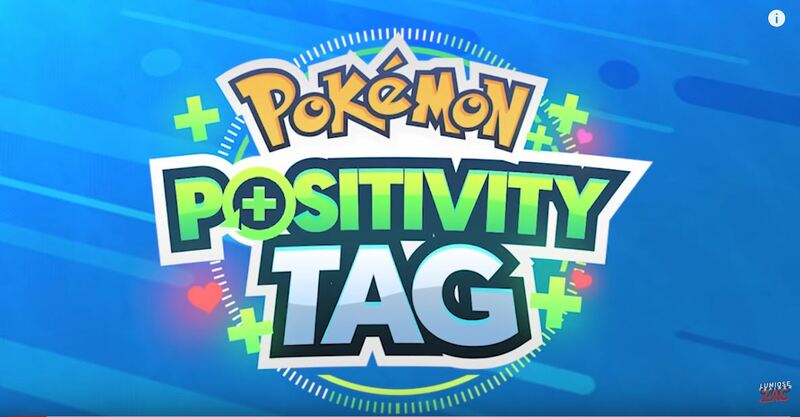 If you want, check out the Pokemon Positivity Tag content! And make your own! Lastly, if you want to see any other great content from Lumiose Trainer Zac then click here!